NEW roof!!! NEW Floors in bath and kitchen!!! Quiet neighborhood, great location!! Popular area, please come look!!! Property NOT for rent!!!!! Union Endicott High School High School / Public 6 1.58 mi. All Saints School * Pre-School, Elementary School / Private N/A 1.6 mi. Ross Corners Christian Academy * Pre-School, Elementary School, Middle School, High School / Private N/A 1.66 mi. Charles F Johnson Jr Elementary School * Elementary School / Public 4 0.41 mi. Clayton Avenue Elementary School * Elementary School / Public 7 1.46 mi. Jennie F Snapp Middle School * Middle School / Public 5 1.03 mi. 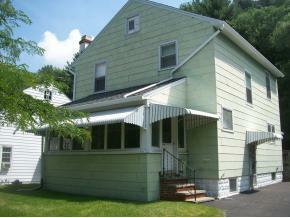 521 Airey, Endicott, NY 13760 is a 3 bedroom, 1 bath single family home was sold for $60,000.